The challenge for this bracelet was to step away from basic bangle shape. We had a choice – to make the holes in a raw clay or after the basic shape is cured and then cut them out. The first option is simpler and faster but not so precise so we usually decide for the latter. The fact that the edge isn’t straight brought a number of problems with later stages, especially when applying, sanding and polishing the black rim. It came out as we wanted and it certainly wasn’t the kind of project when you say “I’m never doing it again” upon finishing. So we will probably evolve this technique further. The first idea that popped in to our mind was to make a hole in the middle of the bangle. But it is just one of many ideas we have, so it will have to wait for its turn. 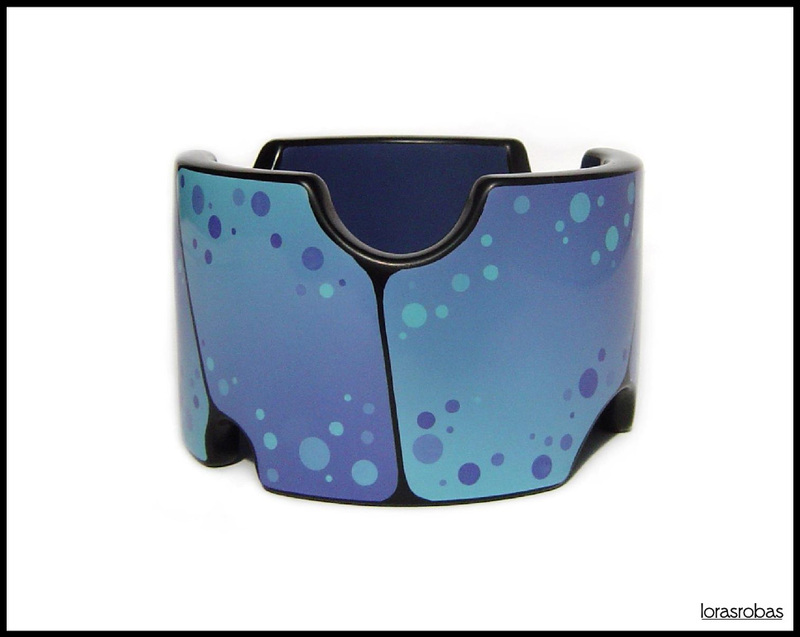 Tagged backfill, bangle, blue, polymer clay, skinner blend.